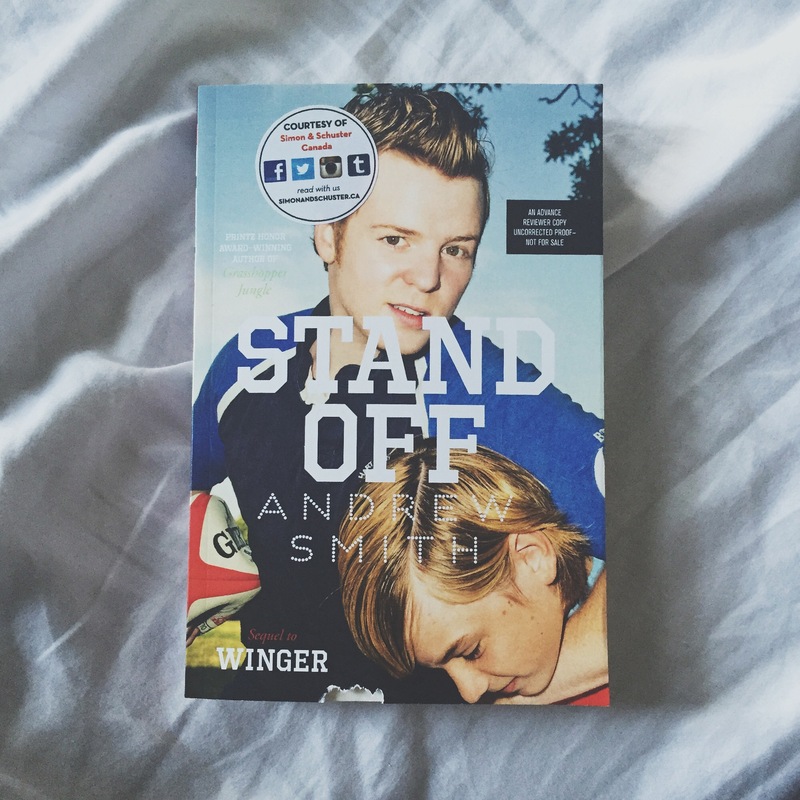 Goodreads Synopsis: Ryan Dean West is back to his boarding school antics in this bitingly funny sequel to Winger, which Publishers Weekly called “alternately hilarious and painful, awkward and enlightening” (Publishers Weekly, starred review). It’s his last year at Pine Mountain, and Ryan Dean should be focused on his future, but instead, he’s haunted by his past. His rugby coach expects him to fill the roles once played by his lost friend, Joey, as the rugby team’s stand-off and new captain. 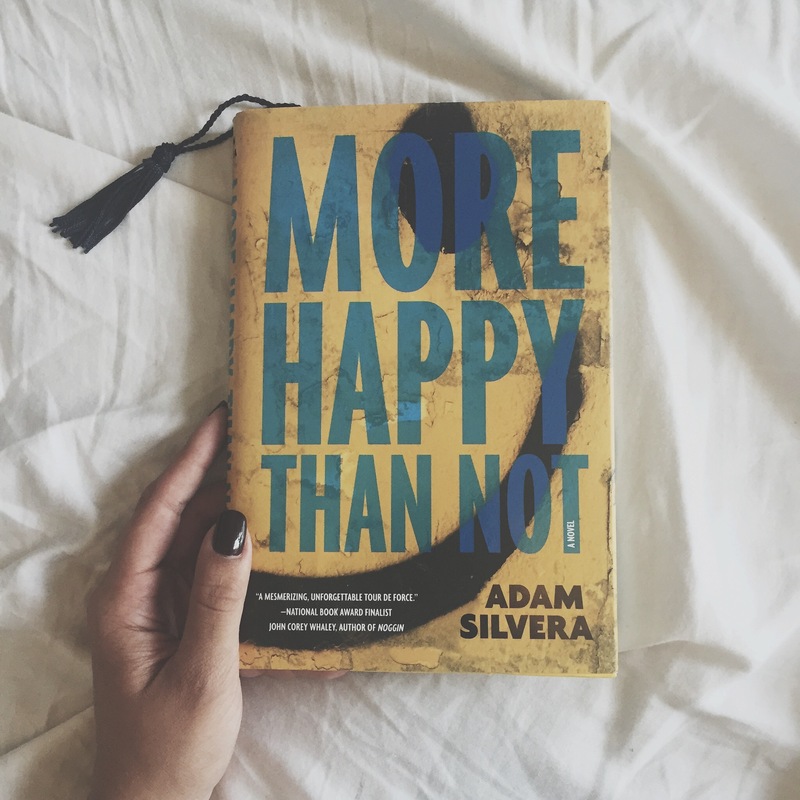 And somehow he’s stuck rooming with twelve-year-old freshman Sam Abernathy, a cooking whiz with extreme claustrophobia and a serious crush on Annie Altman—aka Ryan Dean’s girlfriend, for now, anyway. Equally distressing, Ryan Dean’s doodles and drawings don’t offer the relief they used to. He’s convinced N.A.T.E. (the Next Accidental Terrible Experience) is lurking around every corner—and then he runs into Joey’s younger brother Nico, who makes Ryan Dean feel paranoid that he’s avoiding him. Will Ryan Dean ever regain his sanity? 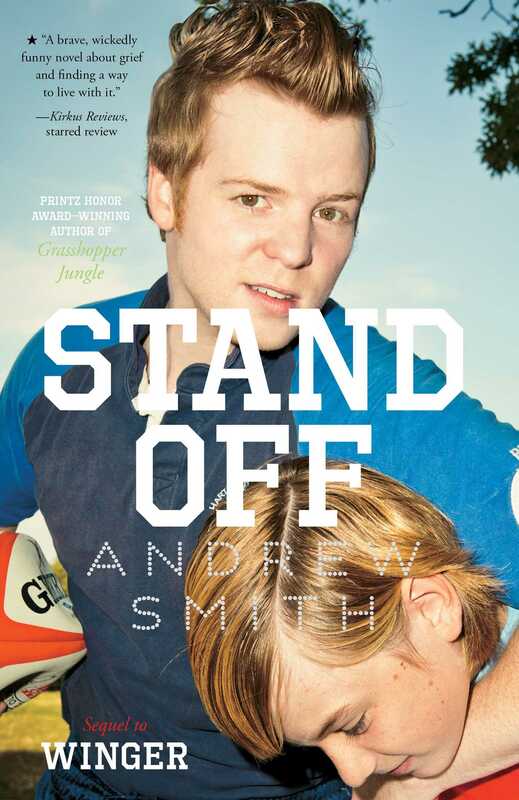 From the author of the National Book Award–nominated 100 Sideways Miles, which Kirkus Reviews called “a wickedly witty and offbeat novel,” Stand-Off is filled with hand-drawn infographics and illustrations and delivers the same spot-on teen voice and relatable narrative that legions of readers connected with in Winger. Goodreads Synopsis: Zack Lightman has spent his life dreaming. Dreaming that the real world could be a little more like the countless science-fiction books, movies, and videogames he’s spent his life consuming. Dreaming that one day, some fantastic, world-altering event will shatter the monotony of his humdrum existence and whisk him off on some grand space-faring adventure. But hey, there’s nothing wrong with a little escapism, right? After all, Zack tells himself, he knows the difference between fantasy and reality. He knows that here in the real world, aimless teenage gamers with anger issues don’t get chosen to save the universe. And then he sees the flying saucer. Even stranger, the alien ship he’s staring at is straight out of the videogame he plays every night, a hugely popular online flight simulator called Armada—in which gamers just happen to be protecting the earth from alien invaders. No, Zack hasn’t lost his mind. As impossible as it seems, what he’s seeing is all too real. And his skills—as well as those of millions of gamers across the world—are going to be needed to save the earth from what’s about to befall it. It’s Zack’s chance, at last, to play the hero. But even through the terror and exhilaration, he can’t help thinking back to all those science-fiction stories he grew up with, and wondering: Doesn’t something about this scenario seem a little…familiar? 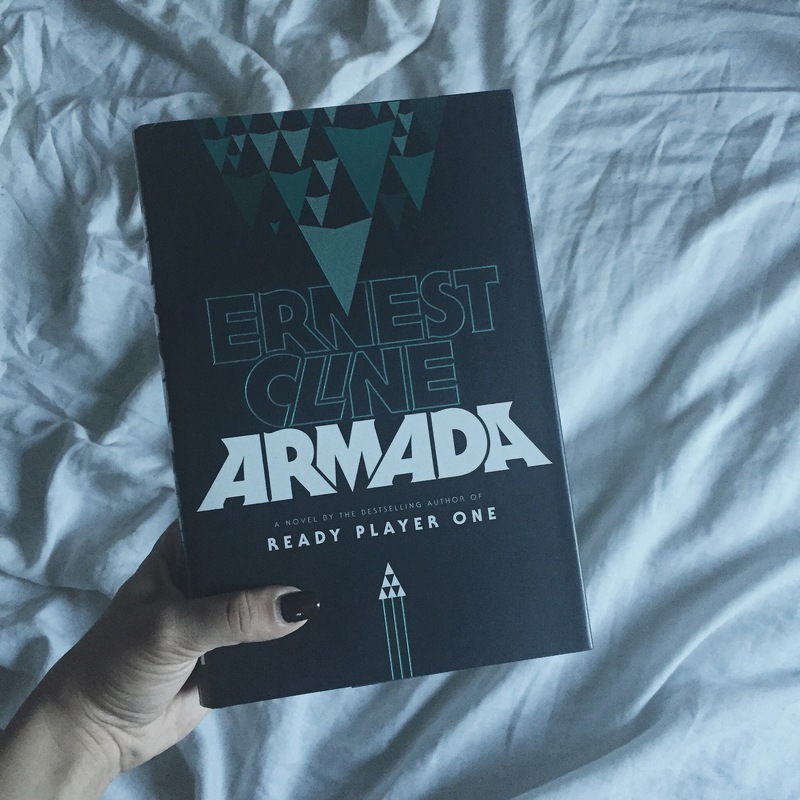 At once gleefully embracing and brilliantly subverting science-fiction conventions as only Ernest Cline could, Armada is a rollicking, surprising thriller, a classic coming of age adventure, and an alien invasion tale like nothing you’ve ever read before—one whose every page is infused with the pop-culture savvy that has helped make Ready Player One a phenomenon. I miss doing WWW post! I think I’ll start them back up again 🙂 I look forward to your thoughts on Armada, I haven’t read it yet but some of the reviews I’m seeing are making me cautions. Yeah, Armada is getting really mixed reviews but I still have hope after Ready Player One!